Airbus has signed an agreement with an undisclosed customer for the purchase of eight A350-900s. 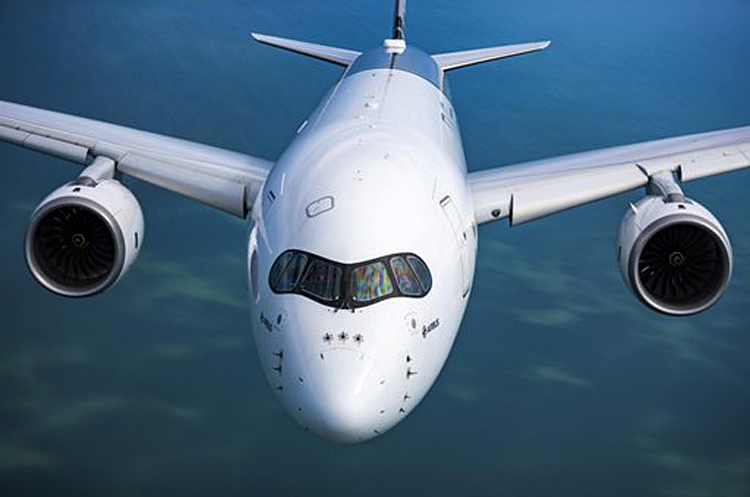 The A350 XWB is an all new family of mid-size wide-body long-haul airliners shaping the future of air travel. The A350 XWB features the latest aerodynamic design, carbon fiber fuselage and wings, plus new fuel-efficient Rolls-Royce engines. Together, these latest technologies translate into unrivalled levels of operational efficiency, with a 25 per cent reduction in fuel burn and emissions, and significantly lower maintenance costs. The A350 XWB features an Airspace cabin which, on top of the aircraft spaciousness and quietness, provides better ambience, design and services, contributing to superior levels of comfort and well-being, and setting new standards in terms of flight experience for all passengers. To date, Airbus has recorded a total of 882 firm orders for the A350 XWB from 46 customers worldwide, already making it one of the most successful widebody aircraft ever.